Trump’s foreign policy which is uninformed, isolates America, and may lead to war. It is up to Congress to rein him in. Make your calls! Every day that passes I feel increasing desperation about getting changes in the mid term elections so these people will be held accountable. I need to engage in productive activity toward this goal. Sign up for the weekly Americans of Conscience Action Checklist. • Protect children. Our government can’t locate almost 1,500 immigrant children and infants separated from their parents by ICE. Urge goverment officials to take full and immediate responsibility for their safety: https://goo.gl/yVeJKg #WhereAreTheChildren. Jen Hoffman has an excellent script at Americans of Conscience for contacting officials. • Demand sensible gun laws. 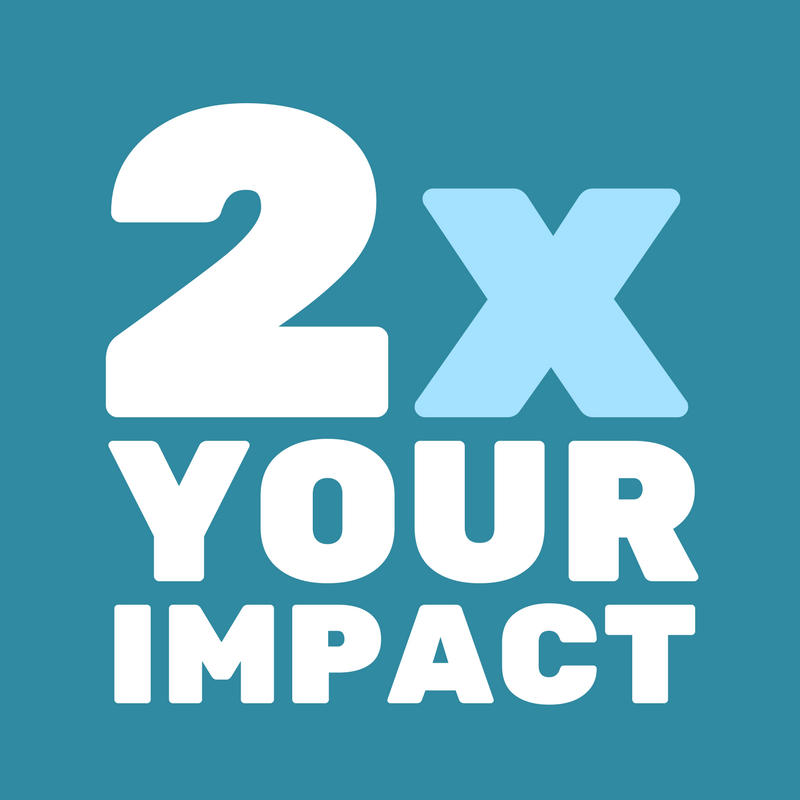 With your help, Americans can prevent gun violence. Indivisible tells how we can support #NeverAgain. June 1 is National Gun Violence Awareness Day and the start of Wear Orange Weekend. Let's keep up the momentum to stop the gun violence epidemic in the US. On June 1, please wear orange or the gray with orange t-shirts from INCO's Rally For Our Lives. 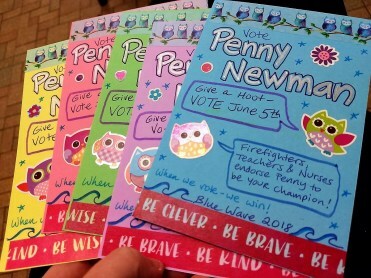 Plain or fancy, artistic or not -- add colorful energy to important campaigns! 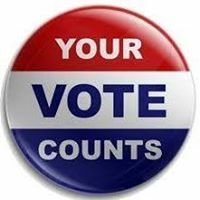 Friday, June 1- Postcards to Voters Writing Party, 4:30 - 6 pm at Bebe's house in Gearhart.Contact Bebe at littlebylittle4change@gmail.com for address. Postcards, pens, and postage are provided. 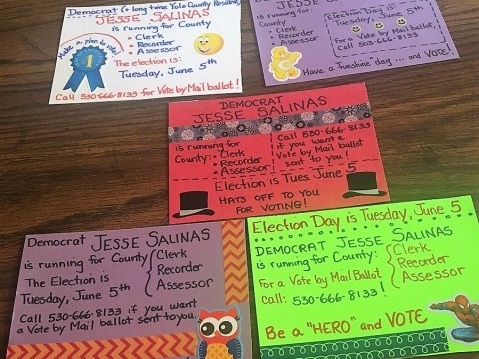 We're reaching voters in key elections around the country through Postcardstovoters.org. Saturday, June 2 - Astoria Community Group, 8- 9:30 am, Street 14 Cafe, 1410 Commercial. We're starting to Storm the Midterms! No purchase necessary. We'd love to see you at our new meeting day, time, and location! Saturday, June 2 - Warrenton Community Group, 11:00 am, at Dooger's Seafood and Grill in Warrenton. No purchase necessary. Saturday, June 9 - Walk with INCO in Riverwalk PRIDE Parade, 12 noon, leaves from the Riverwalk at 4th Street; INCO table at PRIDE Block Party, 1-8 pm, Riverwalk at Barbey Maritime Center; incoregon@gmail.com for details. Tuesday, June 12 - Seaside/Gearhart Community Group Meeting , 6:30-8:00pm at Kathleen Macdonald’s house, 77 7th Ave, Seaside. We will be planning our participation in the 4th of July Parade in Seaside. 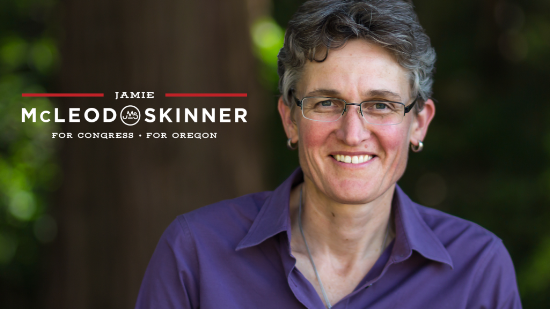 OR-2: Jamie McLeod-Skinner is the Democratic candidate running against incumbent US Representative Greg Walden (R). Let’s help her turn District 2 blue! 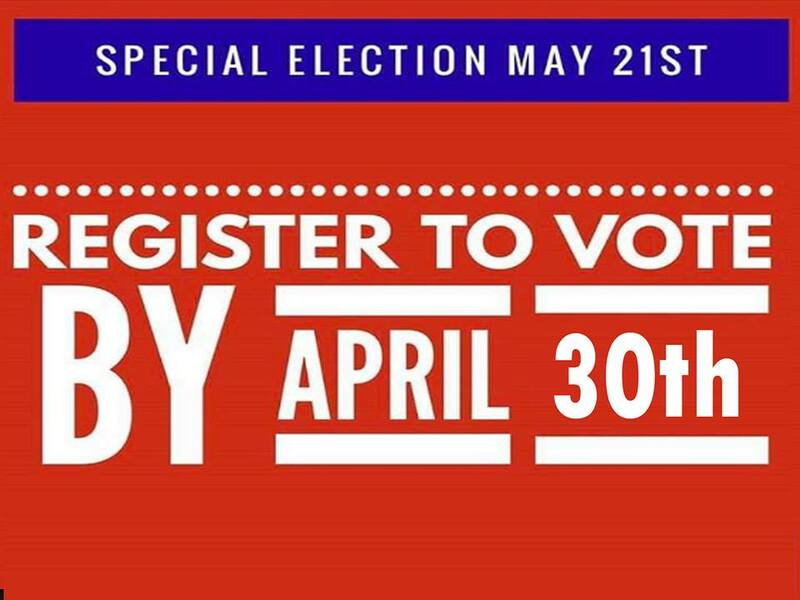 We can help elect Jamieby donating to her campaign, via her website. It’s easy, and even a few dollars a month will help her win. WA-3: On August 7, Washington voters will decide who’ll oppose Republican Jaime-Herrera-Buetler in November. What’s the best way to persuade voters who are on the fence? Face to face, with deep listening. Learn how Oregonians are joining forces with #RiseAndOrganize to listen to voters in our closest swing district. Email incoregon@gmail.com to tell us you want to help. 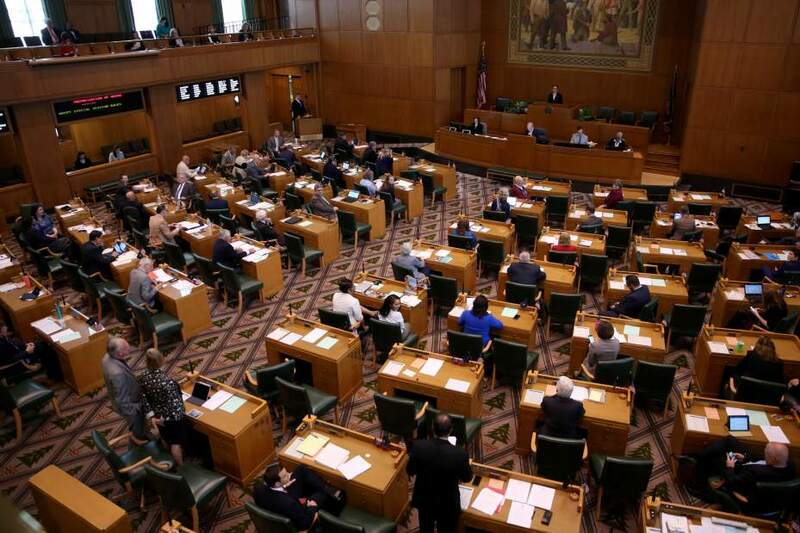 You can help reduce the number of assault weapons and large capacity ammunition magazines in Oregon. Ceasefire Oregon is training thousands of volunteers to gather required signatures to get this proposal on the ballot. If you want to attend or organize a training, sign up for the IP 43 "Lift Every Voice" campaign. Here's INCO's plan if Trump crosses one of three red lines that threatens the rule of law as it relates to the investigation: fire Mueller, fire Rosenstein, pardon key figures. We'll take to the streets to Rally for the Rule of Law at 8th and Commercial in Astoria. If the red line is crossed before 2 pm local time, we rally at 5 pm that day; if it's crossed after 2 pm local time, we rally at noon the next day. Indivisibles across the nation will be gathering according to this schedule. Trump is using ICE as his “personal bullying squad”—separating parents and children, shooting to kill, and abusing those in its custody. These abuses must be investigated and stopped. Tell Congress to defend women’s right to control their own bodies and to stop the “gag rule” on family planning clinics. 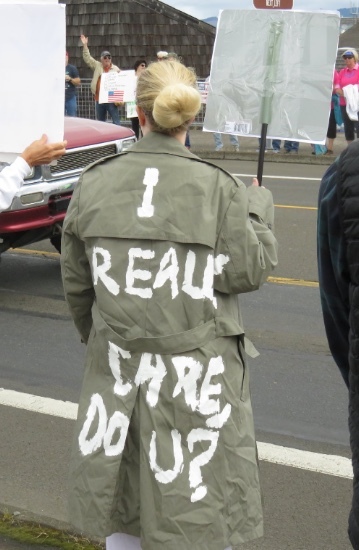 Oregon has 118 clinics. 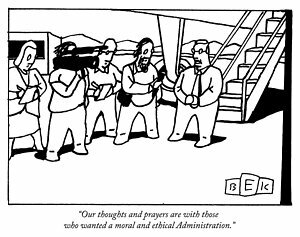 They face either financial ruin or must violate medical ethics and withhold information about a treatment option.